CLAIR OBSCUR in concert & Enjott in Rock Pillars! A new CD-recording with the Siberian State Symphony Orchestra (cond. 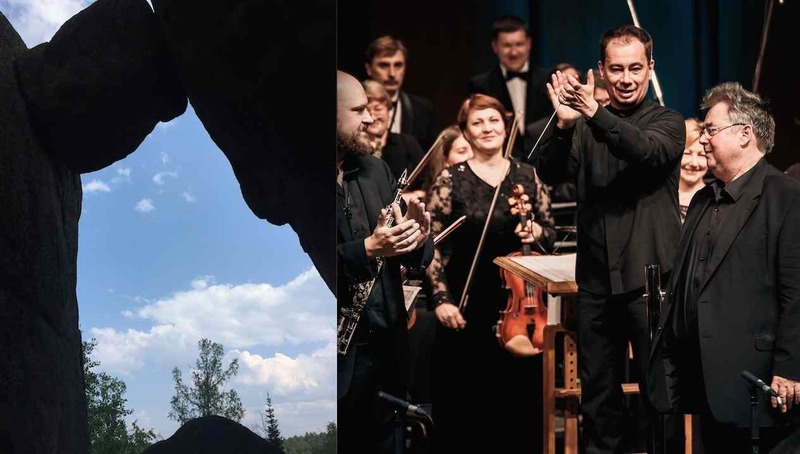 : Vladimir Lande) in Krasnoyarsk with the quartet CLAIR OBSCUR: - BERLIN PUNK for saxophone quartet & orchestra and CRI MUET (composed for the victims of terrorism in Paris 2015) were played in a sold out Philharmonic Concert on 30th of june... with live TV-transmission and with standing ovations. And also very emotional: Excursions in the monumental siberian landscapes as the River Jenissei with its 4000 kilometers or in the mountains with the famous Rock Pillars... one oft he most spirituel locations in Siberia.